Honk if you love leads! Maybe you have plans that night. Maybe the venue isn’t right for you. Maybe you just aren’t interested. That’s OK! Those are all valid reasons to turn a gig down. But there is no reason, however, to ignore an unwanted lead. 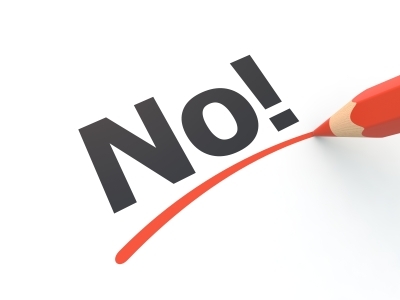 If you aren’t interested or aren’t available for a gig, do the right thing and send a polite “no” response. Your bidding page makes it easy. Just click “No, I do not wish to bid on this gig,” and choose a response from the options we’ve provided. You can also provide more details, if you wish, in the ‘Additional explanation’ field. So why go through the trouble of saying “no?” Well, just think about the client. They’re planning a big event, sometimes a really big event. If you’re not available, they need to know that it’s time to move on and find someone else for their event. Plus, not responding makes you look bad. We suggest you see every decline as an opportunity to make a good impression. You might not be interested in this particular event, but the client might plan more events down the road and someone in their circle of friends and family certainly will. Why not just take a few seconds to be polite? You’ll look good and your client might just remember you for it.